With Boa, Mats and Javi all starting training on the 1st of July, it'll be even trickier for Süle to get playing time with Carlo - I hardly rotate - Ancelotti. As far as I can tell only the Supercup and a game against an amateur side are still left as 'lower profile' games to try stuff. Roonzil wrote: With Boa, Mats and Javi all starting training on the 1st of July, it'll be even trickier for Süle to get playing time with Carlo - I hardly rotate - Ancelotti. As far as I can tell only the Supercup and a game against an amateur side are still left as 'lower profile' games to try stuff. He will play for sure, all three of them are injury prone. Boateng must decide if he wants performance or tasty meals . If we just ignore the comments he makes about ManUtd (*vomit*) this is a lovely and long interview. Has some issues with McD and burgers, but seems like a bit of a shy big lad. I believe it's fair to say this is my topic now? Issues with burgers? Away, woman! Roonzil are you ok ? 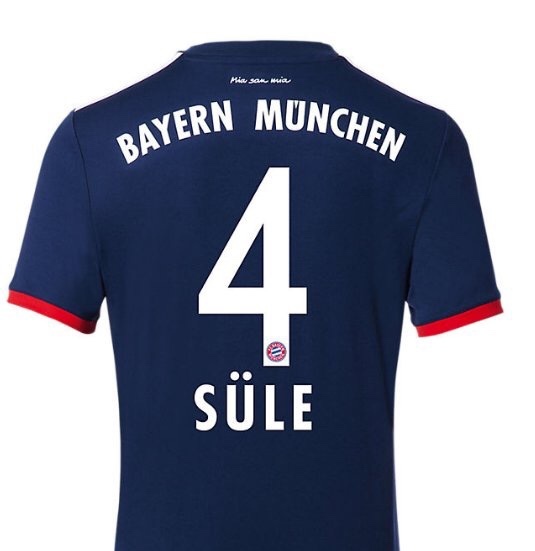 Dude there's something called DM,if not then facebook,twitter,whatsapp..and u found what?the sule thread of Bayernforum.com..
Come on you are French and Dutch..like Robben and Ribery ..a legendary partnership..